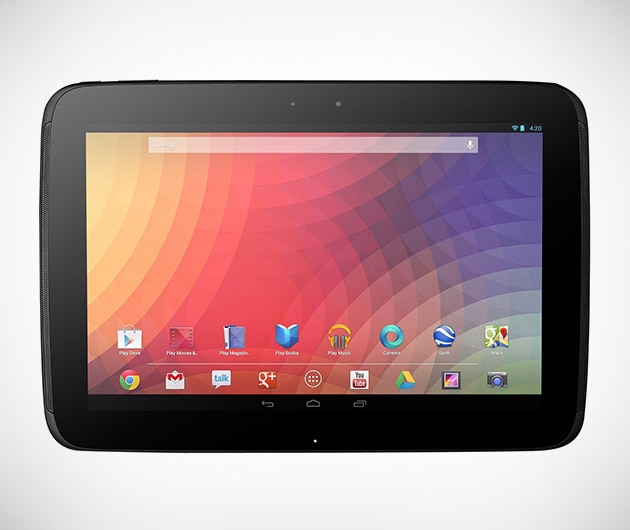 More a threatener than a pretender to Apple's tablet crown, the Google Nexus 10 boasts some mightily impressive stats. Constructed in conjunction with Samsung, who know a thing or two about electronics, it comes with a mammoth battery life of 9 hours, a 5 mp camera, webcam and a whopping 16GB of memory. The screen's huge too.